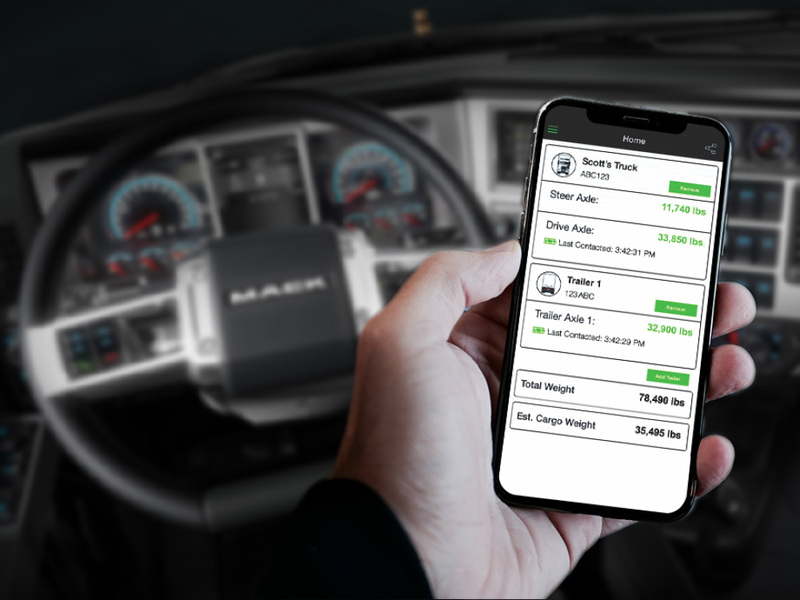 From a proud American business, AppWeigh is the Bluetooth enabled weight sensor and app for air suspension trucks and trailers that clearly displays your truck weight on your smart phone to help you load safely and legally. 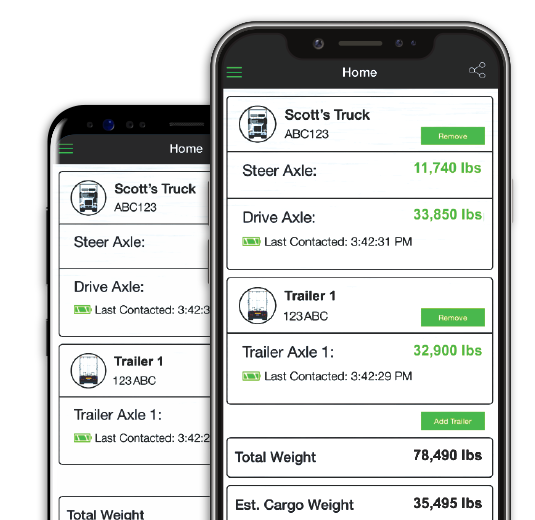 From a proud American business, AppWeigh is the Bluetooth enabled weight sensor and app for air suspension trucks and trailers that clearly displays your truck weight on your smart phone to help you load safely and legally. Combining the latest in Bluetooth and sensor technology, the AppWeigh sensor is road-ready for even the most severe trucking environments. Developed by industry experts, the AppWeigh sensor is designed for easy installation, and long-lasting reliability. As the industry’s only “no scale load scale,” your truck and/or trailer weight is clearly displayed exclusively via the free AppWeigh app on your smart phone or tablet within the 100ft line-of-sight range of the Bluetooth enabled sensor. And with your equipment profiles backed up to your free AppWeigh account, pairing and calibration is saved in the Cloud for easy access on any smart device. 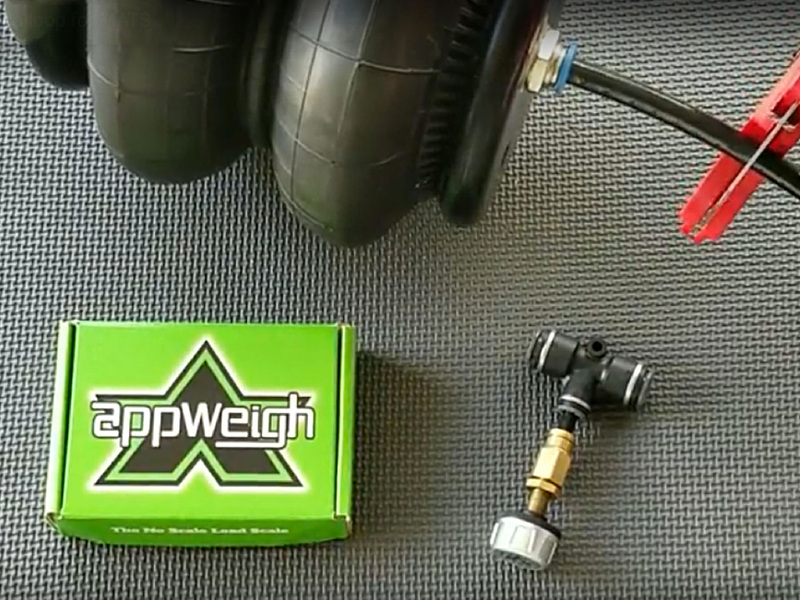 As the only truck weight management tool of its kind, the AppWeigh sensor is powered by a standard coin cell battery for a quick and simple DIY install with no hard-wiring involved. Not only does this allow for a fast installation, but it eliminates concern about voiding your manufacturer’s electrical warranty. AppWeigh offers the fastest return on investment (ROI) of any Smart Scale, meaning you’ll see the benefit to your bottom line even faster. To make it simple, your entire fleet can easily access all company equipment that has an AppWeigh sensor set up, select, and go. AppWeigh is now the clear choice for both drop-and-hook and dedicated truck/trailer fleets. By eliminating the unnecessary scale hardware of outdated analog and digital onboard scales, AppWeigh is offered at a fraction of the price of other load scale systems. Not only is AppWeigh the most affordable smart scale system, but with our 90-day money-back guarantee and our 1-year warranty, why wouldn’t you? As an affordable added option, you can now quickly view and track essential efficiency stats of all equipment outfitted with the AppWeigh scale sensors online. 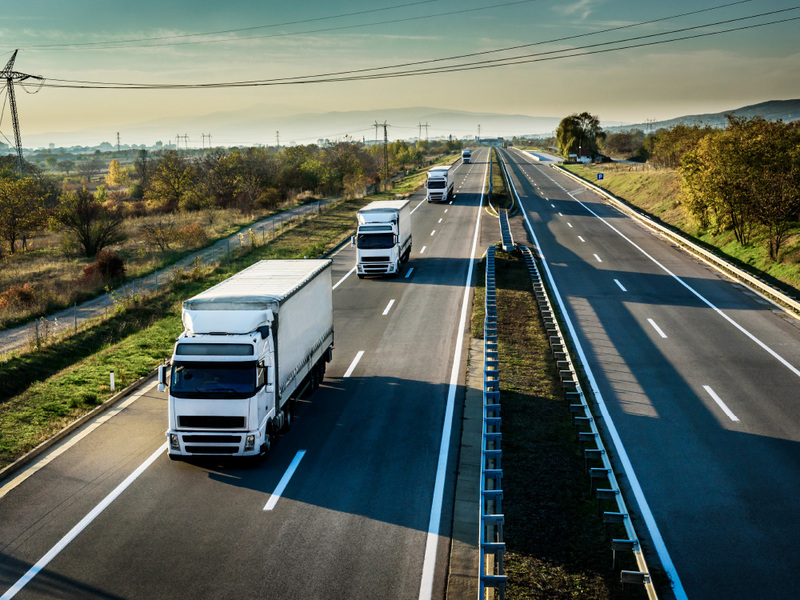 SmartView is a custom adapted feature, designed to offer you the most essential near-real-time and historical fleet monitoring data for one truck, or 10,000. …amazing product at a great price! I have been using AppWeigh for just about a year now and it’s saved me loads of money in fuel!